Four years ago right about now I discovered Richard Armitage. Those who know the story, I’ll spare you a repeat. Those who don’t, you can read it here. From almost the beginning, I had such hopes he would again find a vehicle worthy of his abilities as he did in ‘North and South.’ But no matter his roles, he has often transcended the script — even when it was almost non-existent — making it abundantly clear he puts (if not his all) a great deal of himself into his performances. That almost child-like willingness to throw himself into his characters, into their stories, and his obvious satisfaction in doing so, has been as much a source of pleasure as his acting ability, and it has inspired me personally. Candid photo snaffled from Karima, and what excellent quality for a screencap from a fairly poor quality video. Hope she doesn’t mind since I didn’t ask first. The Armitage Effect helps an amazing number of people who experience it embrace creativity, get inspired, expand their imaginations (and tap back into the imagination they thought they had lost) . . .
North and South was a tough act to follow–how often do the stars align in such a manner and for a television production, no less–but I give him high marks for making the most of every role. He seems to have retained a certain childlike sense of wonder and excitement in his work. It’s not just a paycheck and it’s not for fame. It is the joy of doing something you truly love and doing it well and in a manner that others can enjoy and embrace, too. 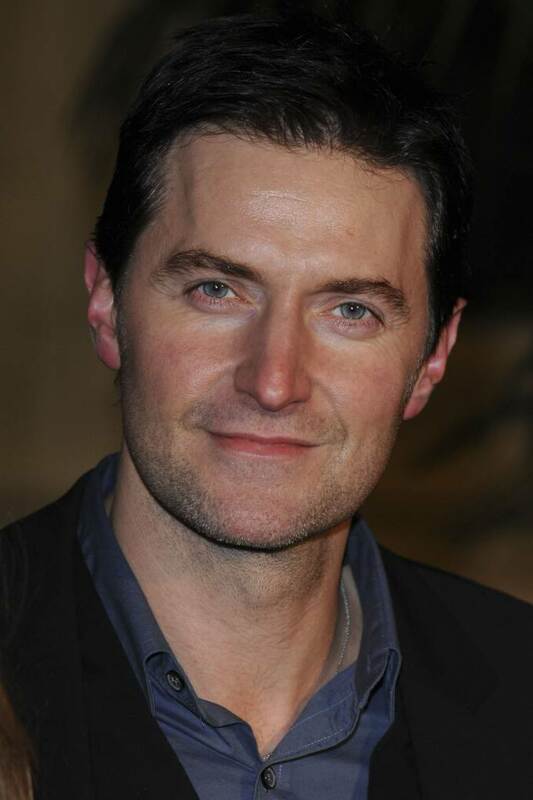 angie, I reckon the stars have aligned again for him with the role of Thorin; it’s his time and his place. He has said that if it’s the last project he undertakes, he would be happy with that, and who are we to demand more of him. He seems to be enjoying the experience so much with the excitement and wonder you speak of. I for one am glad he’s not cynical and jaded like so many others out there in tv/movie land. You are right. It took a few years, but I think our hard-working, super-talented guy has found another “role of a lifetime” and it seems to me he is enjoying every moment of the journey. Many people who knew of him before identified with him as John Thornton, an iconic character. Now he’s going to be another iconic character (hmmm, mere coincidence that both character’s names begin with “Thor”? Perhaps it was always meant to be . . .) and it’s going to be a role seen by many, many, many more people, male and female, young and old. Maybe he’s an even better actor than I give him credit for being and it’s all an act. But in my heart I don’t think that is the case. Somehow I don’t think it is an act either. I’m so happy he is finding so much pleasure in his new role as Thorin. I was just thinking about that first media conference when he said that his first experience on stage was in a production of The Hobbit and I’m sure he must have the urge to pinch himself at times finding himself playing the role of the King of the Dwarves in what is no doubt going to be one if not THE most outstanding movies of its genre with Peter Jackson at the helm! His joy at being a part of it all certainly shines through when he talks about it. Don’t you know his mum and dad are so proud of him? And rightly so, for a number of reasons. approve. I can’t knit or crochet; I did a lot of cross-stitching while recovering from knee surgery years ago, but that’s all I do in the way of needlework. Hello, I just wanted to take a sec to tell you how much I enjoy your blog. I love your sense of humour and sharp tongue :) It’s like a daily breath of fresh air. I do like the no nonsense approach. Sometimes I’m just damn stupid. I cannot believe I didn’t respond to any of these comments! Well, I hope you all have figured out by now it was a gross oversight. I salve my conscience by remembering this was when I was delusional in thinking I could do the 365 days of blogging. ROFLOL!! !